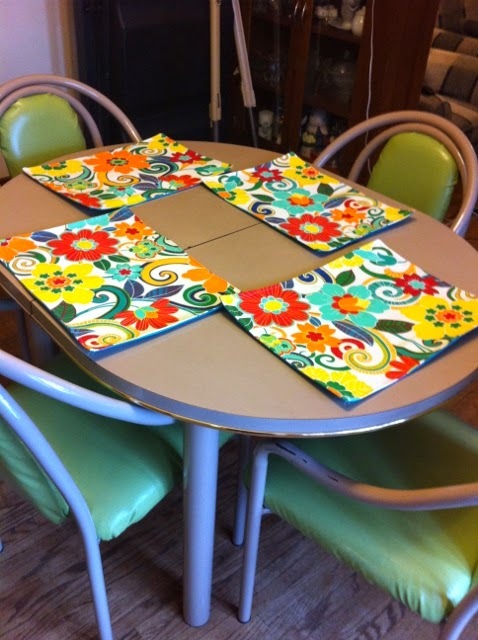 Nothing says summer quite like a fun patio table setting. I bought a teal colored umbrella the other day and thought to myself how nice it would be to have some fun accents to bring it altogether in the backyard. 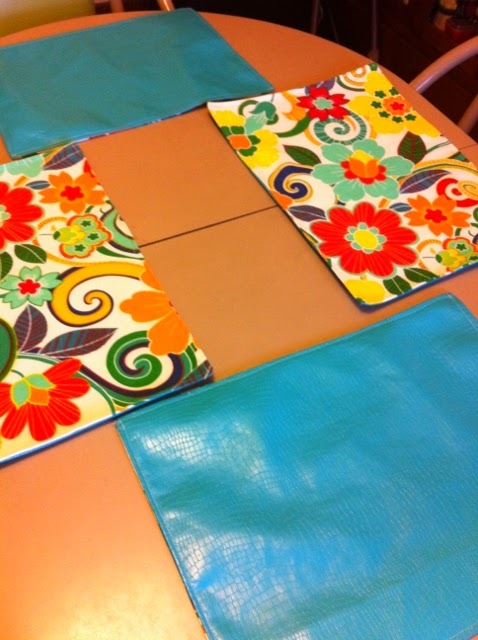 These mats are just the start to all of the accents I will be making this summer for our backyard. I hope you like them. I got the original pattern off of Pinterest from this site http://whip-stitch.com/quick-simple-reversible-quilted-placemat-tutorial/ - I've changed some of the methods up a little, but for the most part I followed the instructions from this site. I also discovered a way to make vertical lines on fabric without drawing lines on with a pencil. 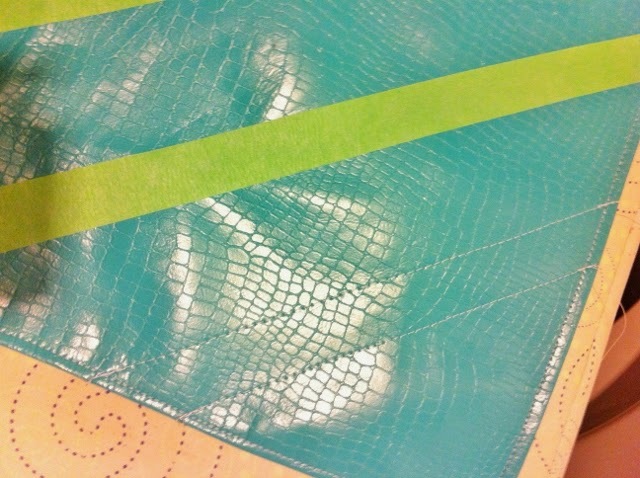 I'm sure this would be helpful for certain applications or working with certain fabrics (vinyl). 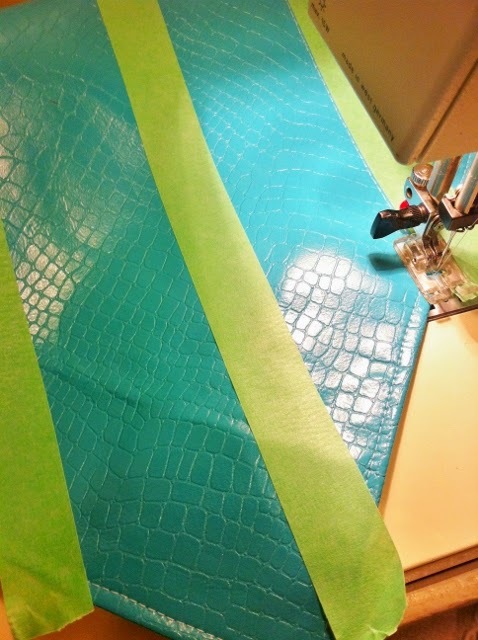 Simply use painters tape to make your lines and then sew on the outside line where you want.